Migration is dedicated to crafting Chardonnay and Pinot Noir from the finest cool-climate winegrowing regions to create wines that highlight lush fruit, bright acidity and impeccably balanced oak. Planted in 1972, Searby is one of the Russian River Valley’s great hillside vineyards. 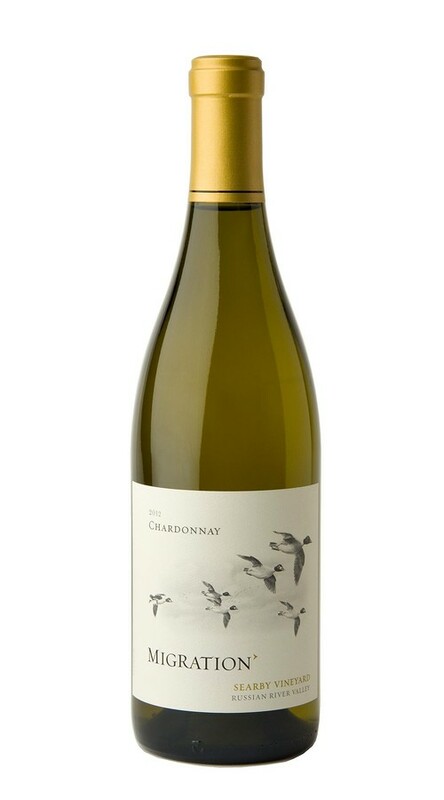 This wine was made from a special block of Searby’s coveted old-vine Rued clone Chardonnay. Grown in sandy loam soils, these dry-farmed vines produce very small crops of intensely aromatic Chardonnay. The result is a fresh and focused wine that balances citrus, passion fruit, lemon blossom and lychee notes, with crisp, elegant acidity. Searby’s old-vine Rued clone Chardonnay has delivered a wine with intense floral aromatics that give way to lovely layers of stone fruit, melon, lemon custard and subtle vanilla. On the palate there is incredible concentration with great length and weight. Vibrant citrus, passion fruit and floral notes are underscored by subtle toasty oak from barrel aging. These oak accents also enhance the wine’s structure, adding to its great aging potential.